The Motor Signal Reading Series jolts the poetry reading out of its conventional form. Motor Signal invites local poets to read their work, but it goes beyond a typical poetry reading by involving the audience in an activity of literary co-creation. Our FIFTH season is here, featuring Saladin Ahmed and Stephen Mack Jones! 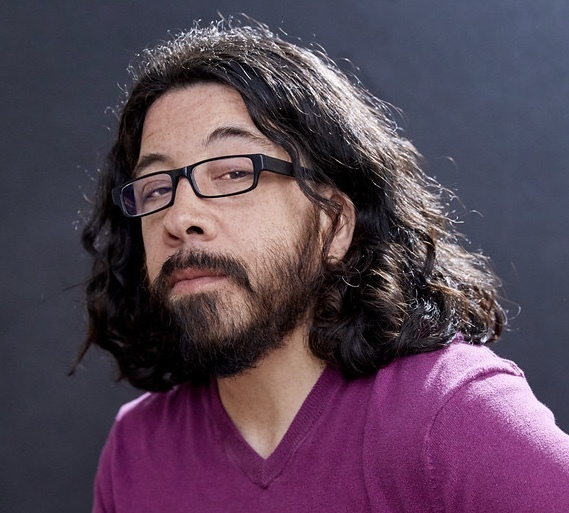 Saladin Ahmed's work has been nominated for the Eisner, Hugo, and Nebula Awards. His novel THRONE OF THE CRESCENT MOON, praised by George RR Martin as "a rollicking swashbuckler," won the Locus Award for Best First Novel. Saladin's short fiction, essays, and poems have appeared in The New York Times, The Boston Globe, Slate, Salon, and BuzzFeed. Recently he has focused on comics, writing BLACK BOLT, EXILES, and QUICKSILVER for Marvel Comics and creating ABBOTT, an occult thriller set in 1970s Detroit, at Boom Studios. Stephen Mack Jones is a published poet, an award-winning playwright, and a recipient of the prestigious Kresge Arts in Detroit Literary Fellowship. He was born in Lansing, Michigan, and currently lives in Farmington Hills, outside of Detroit. He worked in advertising and marketing communications for a number of years before turning to fiction. August Snow (Soho Press) is his first novel. On January 9th, 2019, Soho Press will release the second book in the August Snow thriller series.